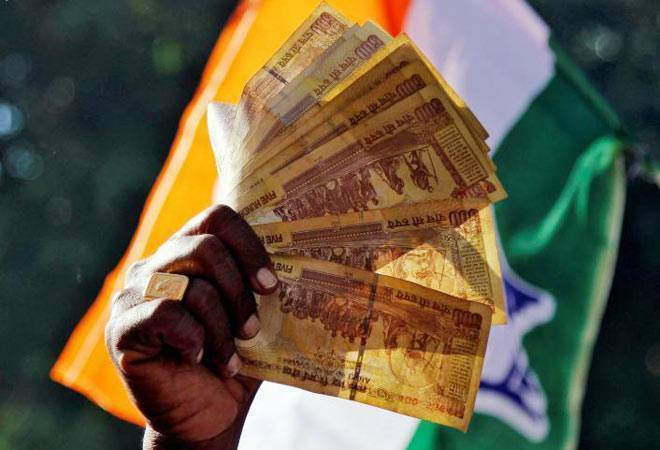 The Reserve Bank of India has said that Rs 15.31 lakh crore out of the total Rs 15.41 lakh crore of demonetised currency notes have returned to the banking system. The Reserve Bank of India, in its annual report for 2017-2018, has said that Rs 15.31 lakh crore out of the total Rs 15.41 lakh crore of demonetised currency notes have been returned. This means that around Rs 10,720 crore of banned notes did not return to the system while 99.3 per cent of the junked noted were received by the banking system. In a surprise move on November 8, 2016, Prime Minister Narendra Modi had announced demonetisation of high value currency notes to crackdown on black money. In its annual report which was made public today, RBI said that processing of SBNs (Specified Bank Notes) has since been completed at all centres of the Reserve Bank. The total SBNs returned from circulation is Rs 15.31 lakh crore. The total value of SBNs in circulation as on November 8, 2016, post verification and reconciliation, was Rs 15.41 lakh crore. The total value of SBNs returned from circulation is Rs 15.31 lakh crore, the report said. The value of banknotes in circulation increased by 37.7 per cent over the year to Rs 18.03 lakh crore at end-March 2018. The volume of banknotes, however, increased by 2.1 per cent. In value terms, the share of Rs 500 and Rs 2,000 banknotes, which had together accounted for 72.7 per cent of the total value of banknotes in circulation at March-end 2017, increased to 80.2 per cent at March-end 2018, it added. The central bank, which took a long time to count the currency that was returned in the limited period window provided by the government to exchange or deposit the demonetised currency, said in its Annual Report for 2017-18 that the exercise is finally over. RBI had incurred a total expenditure of Rs 7,965 crore on printing currency notes in 2016-17, which is more than double the Rs 3,420 crore spent year before that. The rise in cost of printing was due to printing of new currency notes during remonetisation. In 2017-18 (July 2017 to June 2018), it spent another Rs 4,912 crore on printing of currency, the annual report said. In its annual report last year, RBI had said that out of Rs 15.44 lakh crore worth of currency notes that were taken out of circulation, Rs 15.28 lakh crore were returned to the banking system and around Rs 16,000 crore was yet to be deposited back to banks.